Keep up with the latest news, camera releases and updates from the world of Canon EOS photography. Brought to you by EOS magazine. Canon is inviting you to capture the action this winter and receive up to £150 on selected products in the UK, as well as the chance to win a VIP trip to St Moritz in Switzerland. Registering with Canon to claim cashback on any of the selected products will give you the chance to win a luxury trip to St Moritz to see and shoot every minute of the thrilling, adrenaline-fuelled action of Skijoring. Whether you're looking to buy the perfect Christmas gift or a new piece of kit for yourself, the cashback is available from 14 October 2015 to 13 January 2016 for eligible products purchased from selected UK or Republic of Ireland retailers. Canon has announced the EOS M10 – a new Compact System Camera that offers digital single-lens reflex photography in a compact body. Also announced is the EF-M 15-45mm f3.5-6.3 IS STM - a new standard zoom lens for the EOS M10, as well as every other camera in the EOS M range. With a DIGIC 6 processor, the EOS M10 picks up more light in every pixel and reduces noise, from the camera’s 18 Megapixel APS-C sized sensor. Thanks to Hybrid CMOS AF II and a 49-point autofocus system, the EOS M10 can focus accurately in an instant and shoot movies with continuous focus. When used with compatible lenses, including the EF-M 15-45mm f/3.5-6.3 IS STM, Dynamic IS stabilises camera shake for steady footage when shooting on the move. Firmware Version 1.0.1 for the EOS 1200D / EOS Rebel T5 fixes a phenomenon in which the captured image may exhibit uneven exposure when the camera is used with a TS-E 17mm f/4L or TS-E 24mm f/3.5L II lens which is shifted or tilted during shooting. 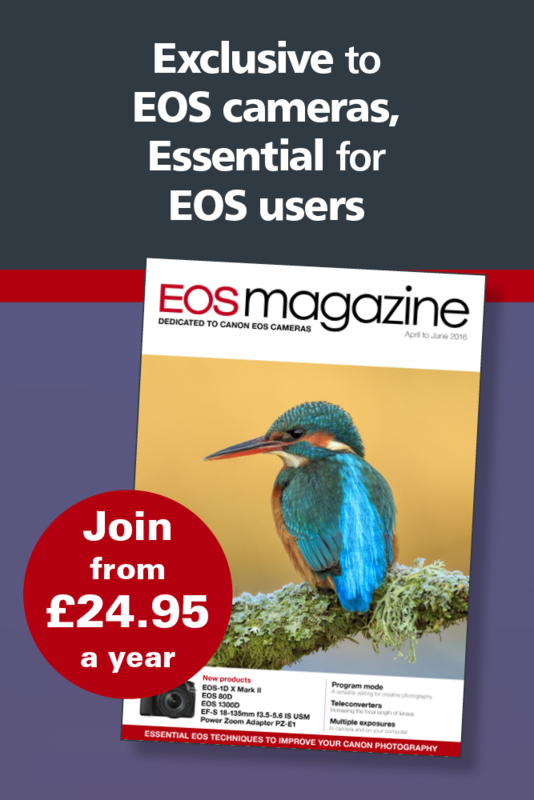 For a full guide to updating your EOS firmware, see EOS magazine October-December 2012 issue,(available to buy as a back issue for £4.95 from EOS magazine shop). You can also download a copy of this article for free.